Monster High ID help please! 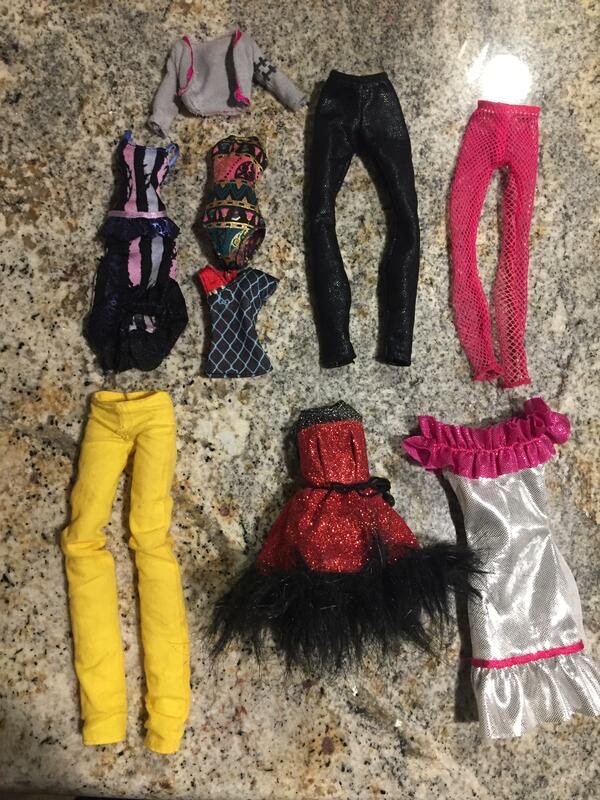 Finally went through a lot of dolls I purchased, got them in their proper outfits, and these are the leftovers. There's some items where I thought clearly it belongs to a specific doll and then I can't find the line. Any help would be great! FIRST PIC ENTIRELY IDENTIFIED! THANK YOU! Note that the three items on the bottom row didn't seem to fit properly, so my guess is they're Barbie or something in that size range. Not so interested in IDing those if they for sure aren't MH items, thanks! I'll probably be back with more once I sort through the CAM stuff. Thanks again! Re: Monster High ID help please! 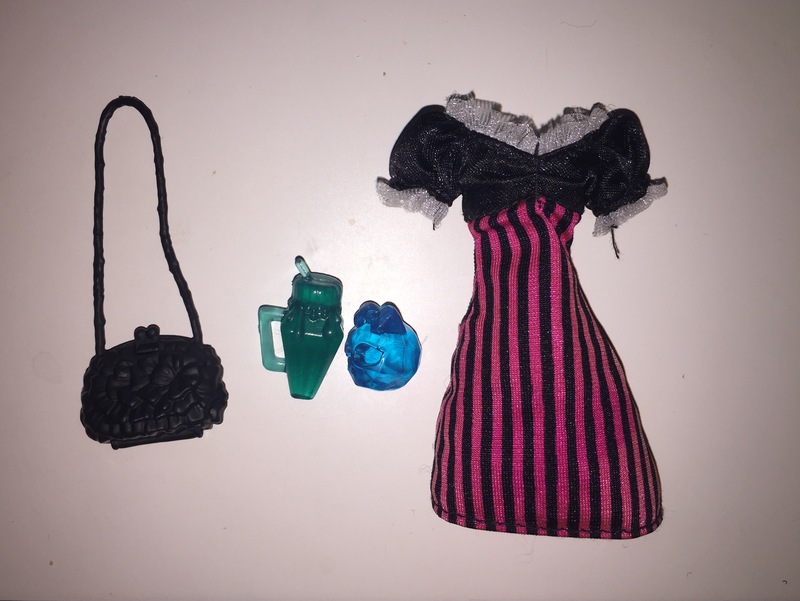 I can tell you that the black, blue purple and red purple dress is from New scaremester Catrine, while the bathing suit is off the cleo from the 13 wishes desert fright oasis playset. I feel the yellow pants are from Jackson in the picnic casket 2 pack but not 100% but the grey sweater is definitely from frankie in that same pack. For the shoes the shattered glass ones are from signature Catty Noir, the snake heeled shoes are from sig nefera de nile. the black leaf like heels are from signature amanita, the red transparent ones are from freak du chic Jinafire and those little transparent blue shoes with the shark teeth are from freaky field trip Toralei. Thanks a whole bunch! o: I was looking at Cleo for Nefera's shoes, Venus for Amanita's, and Lagoona for Toralei's, whoops! Definitely agree with GhostsaurusRex and Dragonlady (I have that Bratz fashion pack! ), and adding that the black purse in the third pic looks like Sig Amanita's. Thanks to both of you, huge help!